Football goals come in many shapes and sizes to suit different requirements – but the need to ensure safety never diminishes. Harrod UK has been a leading voice in goal post safety for many years now. We were involved in the BBC 'That's Life' programme with Esther Rantzen in 1991 – but we were advocating the use of anchors with all portable goals before then. Since then, we have been successful in persuading the Football Association and Health & Safety Executive to issue directives to all users of free-standing goals that they must be anchored at all times – even when not in use. Unanchored goal posts have caused accidents and, in some cases, fatalities, especially when being misused, so Harrod UK will never stop pushing the safety message. It is something about which we can never become complacent. 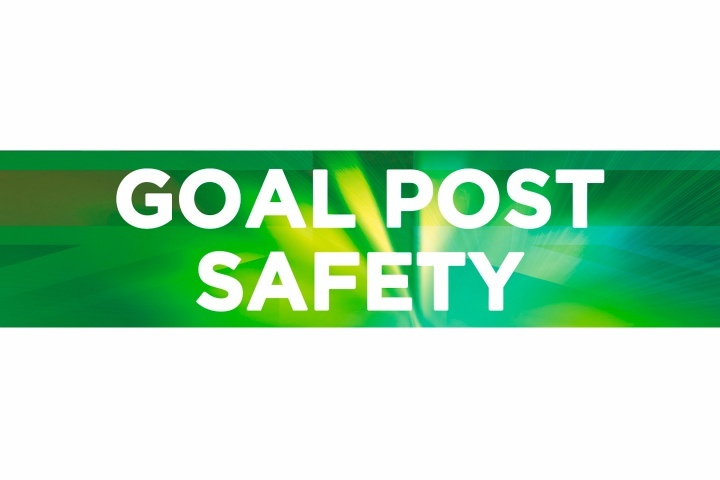 It is why we have represented the UK on the European Standards Committee for the last 17 years and is why we have created our own goal post safety guide, which can be viewed here. It is also the reason behind creating two articles on goal post safety, the first of which is on standards and best practice https://www.harrod.uk.com/team-talk/goal-post-safety-standards . This article delves deeper into Harrod UK's recommendations for both football goal posts and for anchors. Freestanding goal posts – these conform to BS EN standards when anchored to manufacturer instructions. This can be via attachment of back bars to fixed anchorage points, set in concrete, via attachments to a surround fence by means of fence type anchor, or via attachment of adequate freestanding weights. Freestanding weights are an effective method of stabilising goal posts, and care should be taken to ensure the correct amount us used. Full-size, freestanding and mini soccer goals require six anchors per goal; five-a-side goals require four per goal. When other forms of anchors are used eg 'U' pegs, spira locks or cork screw types, soil conditions play a key part as they may not hold adequately in certain ground conditions. Therefore, these types of fixing should be used only when evidence exists of their effectiveness under the worst predictable ground conditions. Care should also be taken to ensure that the attachment of anchors does not create an additional hazard.